Beaver Creek relocates an entire Birds of Prey Express tower, foundation and all, eight inches due to ground movement. Someone made off with a chair from Aspen’s Bell Mountain lift. After a public plea from SkiCo, it returns within hours. Franklin County, Maine wants an electric utility to contribute $100,000 to support Saddleback redevelopment as part of a mitigation package for a $950 million power line project. Cockaigne, NY will open this winter for the first time in seven following an investment of $6.2 million, demonstrating it takes a boatload of cash to reopen a lapsed ski resort. The always awesome French lift website Remontées Mécaniques reports on two remarkable new lifts in Asia: the Fansipan Legend 3S and Wynn Palace Skycab. Two late additions to the 2018 new lift roster: Boreal, California and Vallée du Parc, Quebec, which are both adding Doppelmayr fixed quads this fall. La Paz subway in the sky gondolas number 15 and 16 open September 26th. An intriguing podcast claims more Disney Skyliner lines are envisioned to Disney Springs, Blizzard Beach, Animal Kingdom Lodge, All Star Resort and Coronado Springs. Anyone recognize this skyride at the New Mexico State Fair? It had to come from somewhere. Pre-Vail Whistler Blackcomb COO and father of Peak 2 Peak Dave Brownlie is tapped to lead the next chapter at Revelstoke. The first of many Omega 10 passenger gondola cabins is spotted at Walt Disney World. 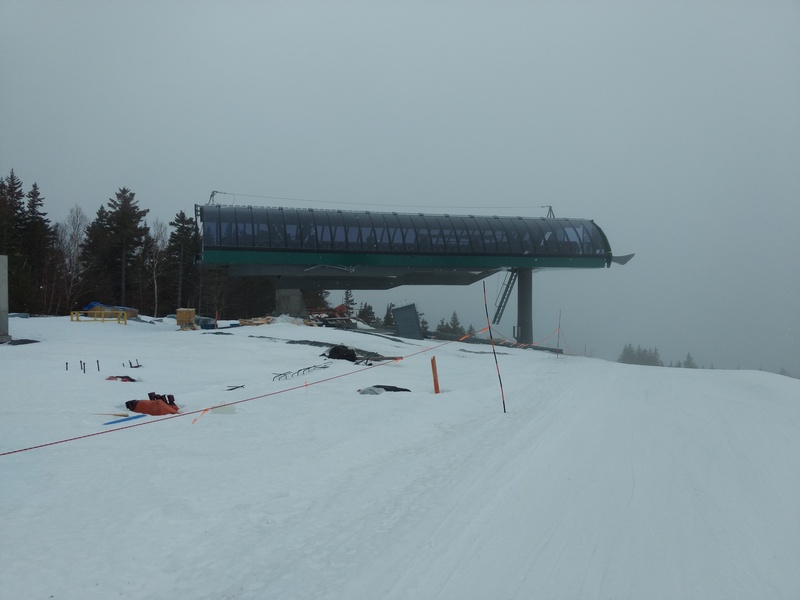 Saddleback Mountain Foundation plans to make a second offer for Maine’s third largest ski area, which has been closed for nearly three years. Santiago, Chile awards the contract for an $80 million, four station urban gondola to Doppelmayr. 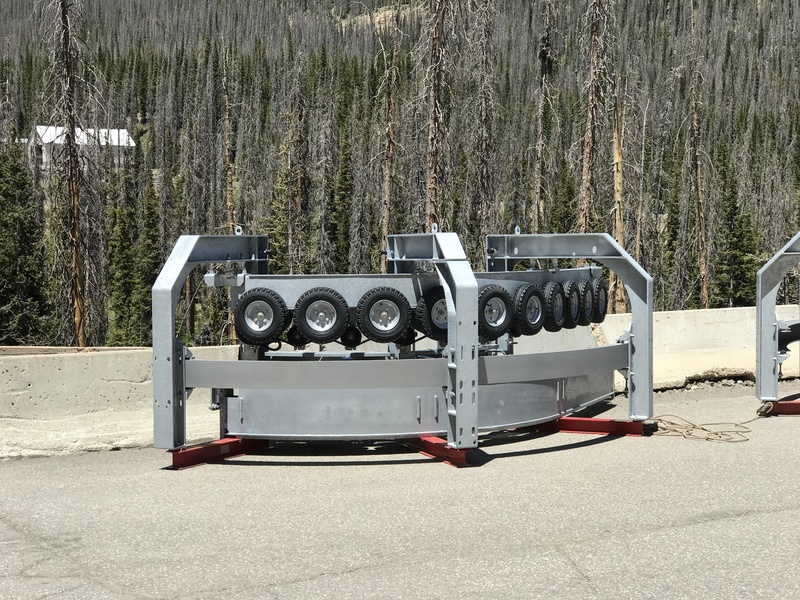 The first indoor ski area in the Western Hemisphere plans to open March 1, 2019 with a Doppelmayr CTEC quad chair and platter that were installed back in 2008. A gondola is one option being considered to improve mobility in Little Cottonwood Canyon, home to Alta, Snowbird and lots of traffic. A Basin’s Al Henceroth updates us on Norway’s removal and hints more lift changes may be in store for Lenawee Mountain. Members of Congress from four states pen a letter to the Forest Service asking for Arizona Snowbowl to be reopened or further explanation given as to why its extended closure is necessary. 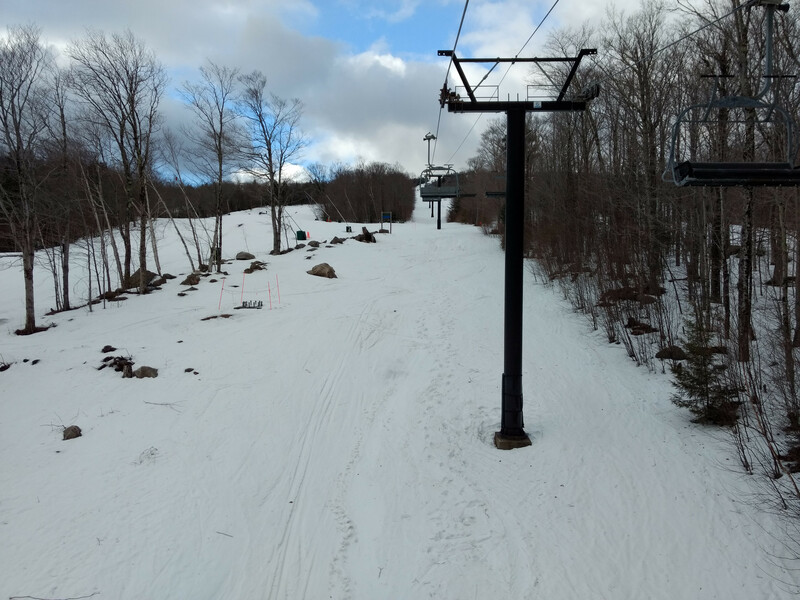 Doppelmayr scores another project in Canada – a $1.8 million fixed-grip quad with loading carpet at Sugarloaf, New Brunswick. Rope evacuating 20-25 mountain bikers turns into a four hour affair at Marquette Mountain. Ikon Pass destination number 27 is Thredbo, Australia. Jumbo Glacier Resort is fighting to reinstate its construction permit. 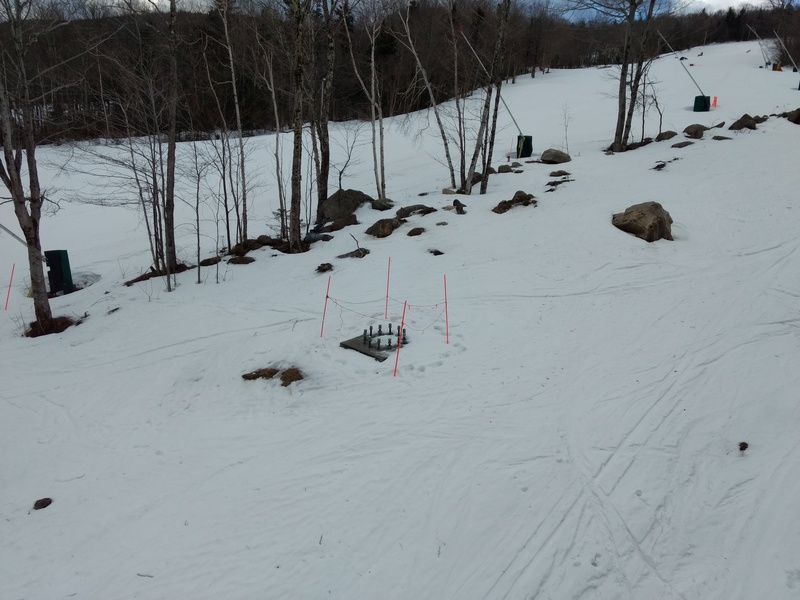 A spokesman for the new owners of Maple Valley, Vermont says reopening for skiing is a long term goal that could take many years to accomplish. Loveland seeks a good name for the new Lift 1. Loon Mountain is buying brand new CWA Omega cabins for its gondola this fall. 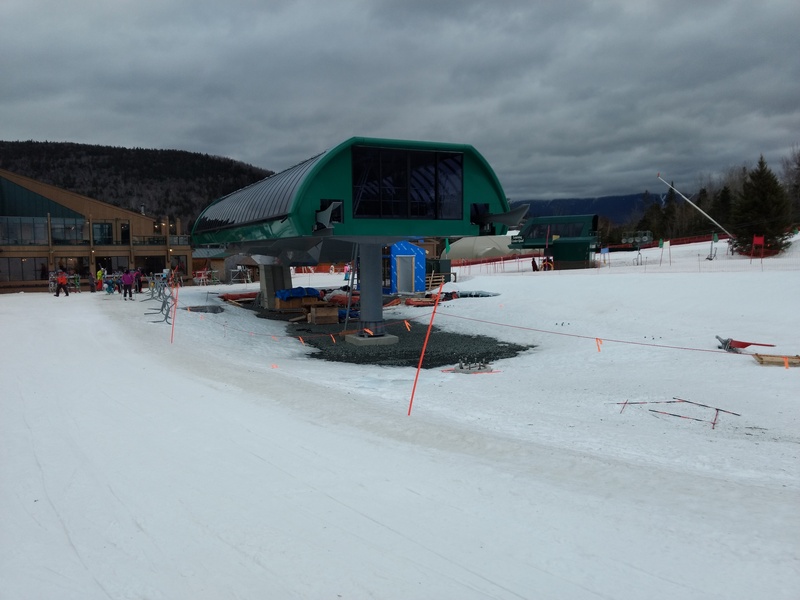 Tremblant says goodbye to the Lowell Thomas triple, making way for a detachable quad. The first Hermitage Club property auction yields a $1.2 million winning bid. “There will be more of these coming up,” says the Windham County Sheriff. A breakdown at the Jasper SkyTram leads to an 18 hour helicopter evacuation of 160 guests. Vail Resorts net income rises 41.5% over last year’s third quarter with Epic season pass sales up 12 percent in units and 19 percent in dollars through May 29th. 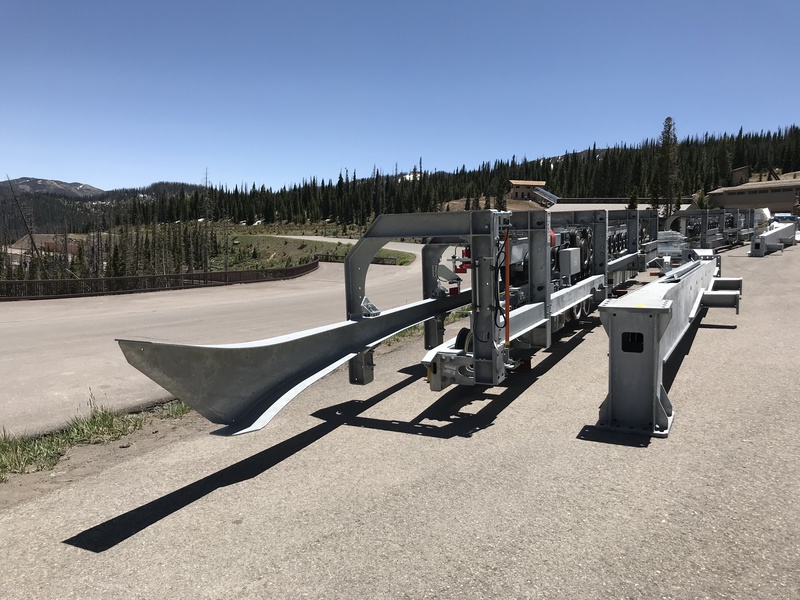 The new Lift One will likely be put to Aspen voters in a winter 2019 special election rather than the November general election. The Western Idaho State Fair plans to debut a chairlift for the first time in August – apparently a used Riblet of unknown origin. An urban gondola proposal in Ogden, Utah is back. A great writeup about Heron’s early days answers why Aspen Skiing Company switched from Colorado’s homegrown lift company to Riblet. Now’s your chance to enter to win one of Arapahoe Basin’s retired Norway chairs. Squaw Valley Alpine Meadows and the Sierra Club sign an agreement for the resort to abandon California Express Alternative 2 in exchange for the group withholding legal action against alternatives 3 and 4. The Seattle suburb of Kirkland looks to a possible aerial lift to connect its city center with an upcoming bus rapid transit station. Vail Resorts CEO Rob Katz and Whistler Blackcomb COO Pete Sonntag do a wide ranging interview with the local newspaper after a challenging year and a half. Tower 6 of Howelsen Hill’s chairlift is on the move for at least the third time as city leaders grapple with whether to fix it. 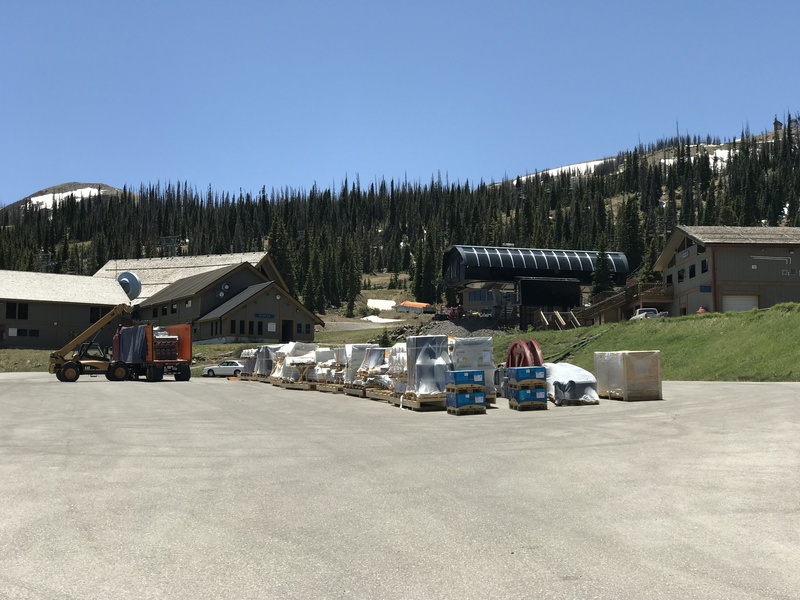 Beartooth Basin, the only summer ski resort in the United States, opens for the season as everyone else closes. An experiment is also underway to run the lifts with biodiesel. The Olympic Regional Development Authority proposes a new chairlift for its Lake Placid ski jumping venue. Another Borvig surface lift bites the dust in favor of carpets. Berkshire Bank says the Hermitage Club no longer has the right to restructure and argues receivership should proceed. One Hermitage property is scheduled to be auctioned on June 25th. A decision not to create an opportunity zone in Rangeley, Maine becomes yet another reason Saddleback is going nowhere fast. The man accused of lying about spending a night on a Gore Mountain chairlift says he is innocent and may sue the State of New York. 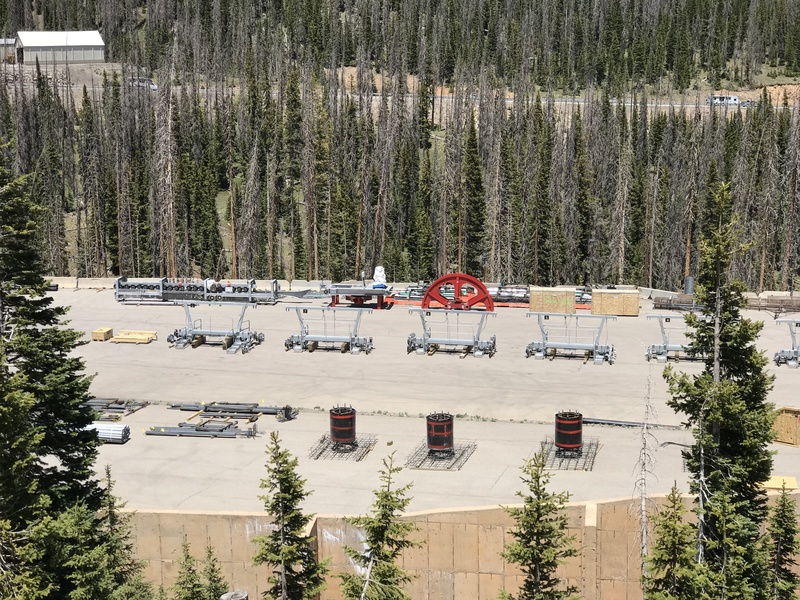 The latest Doppelmayr Wir highlights Yellowstone Club’s expansion and more. The Gondola Project updates us on the Leitner-Poma tram project at San Francisco’s Salesforce Tower transit center. 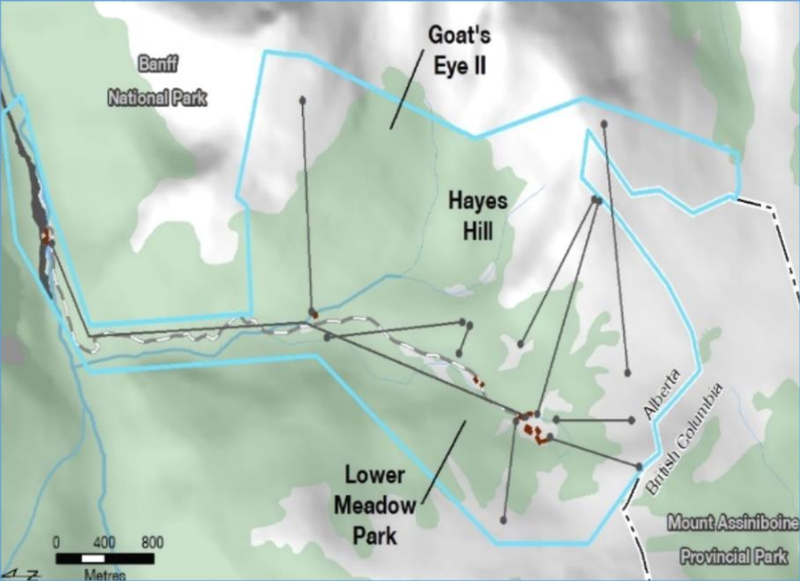 Aspen Skiing Co. eyes opening the Pandora quad chairlift on Aspen Mountain in 2020. Majella Group CEO Sebastian Monsour tells the Bangor Daily News his Australian company is still working to close on the purchase of Saddleback Mountain while a former employee is suing for unpaid wages. A Montana community grapples with options for Teton Pass, a closed ski resort listed for $650,000 with one SLI double. In advance of its new gondola, Silver Star’s 1970 Mueller is listed for sale on SAM. CWA launches a slick new website and refreshed logo. Val Neigette, Quebec will close for good on April 1st and its 1990 Doppelmayr quad is on the market. An editorial in the Park Record floats the cool idea of a gondola from offsite parking at Kimball Junction to Park City’s Sun Peak zone with a possible mid-station at Utah Olympic Park. Big White’s Powder Chair will soon be available for $150,000 CAD. Alpine Media Technology raises $1 million to bring digital screens to more lifts including Winter Park’s new gondola. SkyTrans hopes to build and operate a $2 million gondola at an Illinois winery. A lawsuit against Sugar Mountain filed by the family of a child who jumped from a lift after closing has been settled. Leitner’s fifth 3S gondola will be a spectacular one with Symphony cabins and a combination gondola/railway/transit station. A Jacksonville, Florida developer proposes a river crossing gondola. What appears to be Walt Disney World’s gondola cabin maintenance facility is taking shape. Instagram suggests the Hermitage Club may have reached a deal to open this weekend following a state-ordered closure.